I’ve found that the women who ask this question are always making one of these four mistakes. That’s right. 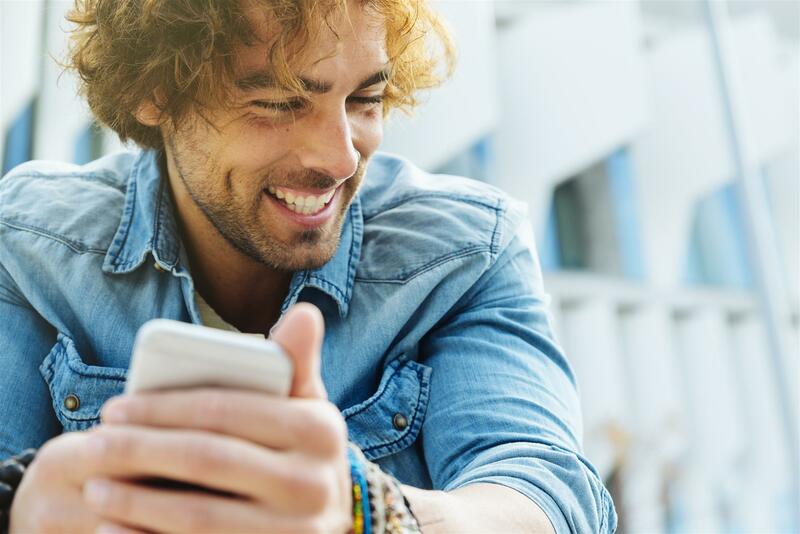 There are four reasons why men ignore your texts. They have to do with why you’re texting, what you’re saying, and when you’re saying it. You need to stop doing these things immediately if you want men to text you back. 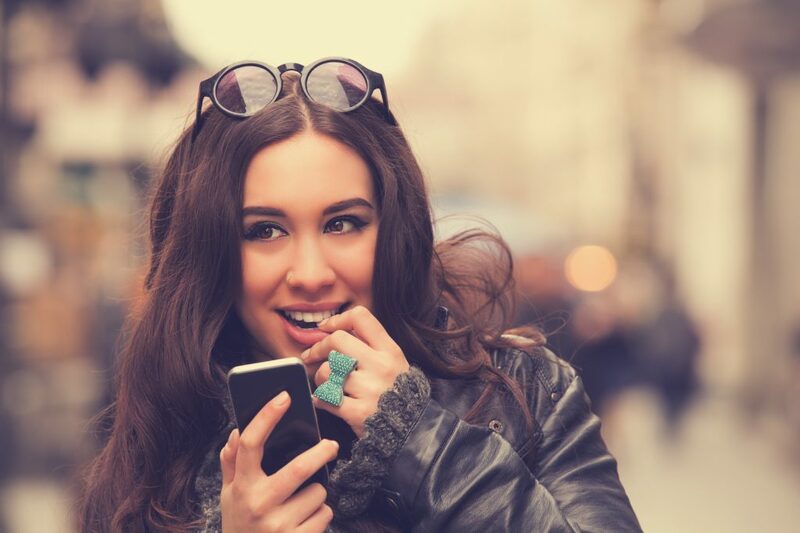 Plus, I’m going to share with you a foolproof way to get him to text you first. If you’re texting him “Hey, what’s up?” you’re not going to get a response. You need to give him something to respond to. Before you send a text, ask yourself, “If he sent me this, how would I respond?” If you don’t know what to say back, chances are that he won’t either. If he has to think about his reply, he’ll get distracted and forget all about your message. Pretty soon, when he sees a message from you he won’t even want to bother. Make it easy for him. Think about what you know about him and make sure your texts are relevant to his interests and personality so he knows what to say. When in doubt, memes and jokes almost always get a response. More often than not, when a guy stops responding it’s because he thought the conversation was over. And if he’s asking you questions and you’re not asking questions back, he probably thinks you don’t even want to talk to him! This is why the best way to get a response is to ask a direct question. Something that he can’t answer with one word. It’s easy to get fixated on making the perfect response to a text but asking the right questions is even more important. Every man wants a woman who is interested in what he thinks and feels. This is a big mistake I see again and again. Texting is supposed to be a conversation. Keep it light, fun, and funny. This means no guilt trips! I know that’s not what you’re trying to do but it’s difficult to read tone in a text message. If you text him “I miss you” or even a playful “hey stranger”, he may take it the wrong way. He’s not going to want to text you (or date you) if you make him feel bad, even if that’s not your intention. Texting should give, not take. Texting is a part of courtship. He needs to feel like he has to chase you a little bit or he won’t be interested. That’s why less is more. Don’t text him unless you have something to say or a question. I often recommend only texting to make plans. Talking in person is always going to be easier and more natural. Plus, if you’re someone who agonizes over texting then focusing on the face-to-face is a much better way to go. The less you reach out via text, the quicker he’ll be to try to make plans. You also shouldn’t always be texting him first. Let him send the first message. This can be tricky. 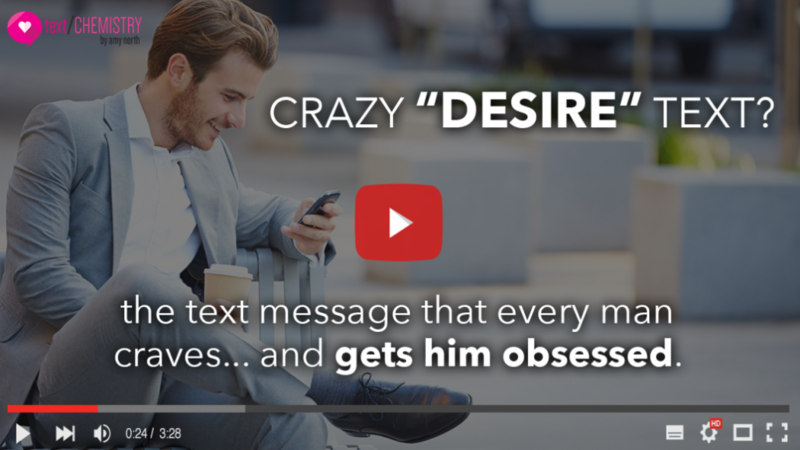 That’s why I’ve put together a free video presentation that will show you how, when, and what to text him to have him chasing after you. My method is super easy and it works on any guy. Plus, he won’t even know you’re doing it! He’ll just feel an uncontrollable urge to text you, call you, and chase after you. And the women that guys want to text are the ones they want to date. So click here to watch my free video and up your texting game!